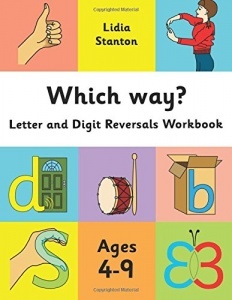 Engaging and colourful workbook for letter and digit reversal. 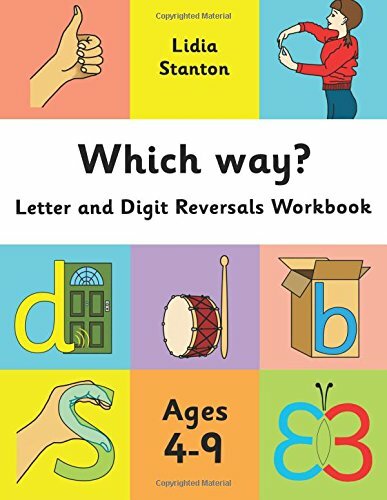 A workbook with practical and long-term memory tricks to remind the child ‘which way’ to write a letter or digit, e.g. b/d, p/g/q, 9/g, 6/9. s/z, 5/S, S/3, etc. This colourful and highly engaging resource is written for children as young as 4-5 years old, but also for those up to 9 years old who continue to feel confused by letter and digit shapes. The latter group might become so discouraged that they avoid writing, or write very little, despite having great imaginations. They start doubting their ability to simply ‘know’ the correct way when writing b/d, p/q, p/g, 9/g, 6/9, s/z, 5/S, S/3, etc. The book adopts a complementary approach to traditional letter formation teaching. 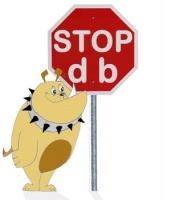 Particularly useful for children with dyslexia and dysgraphia who will have additional phonological difficulties to manage alongside poor memory for graphic shapes.